You and your stoner significant other may have a bright, altercation-free future together according to a study from the University of Buffalo. Researchers found that married couples who smoke weed have much fewer domestic violence incidences. The reasons behind this may seem fairly obvious, but the Washington Post went ahead and broke everything down anyway. 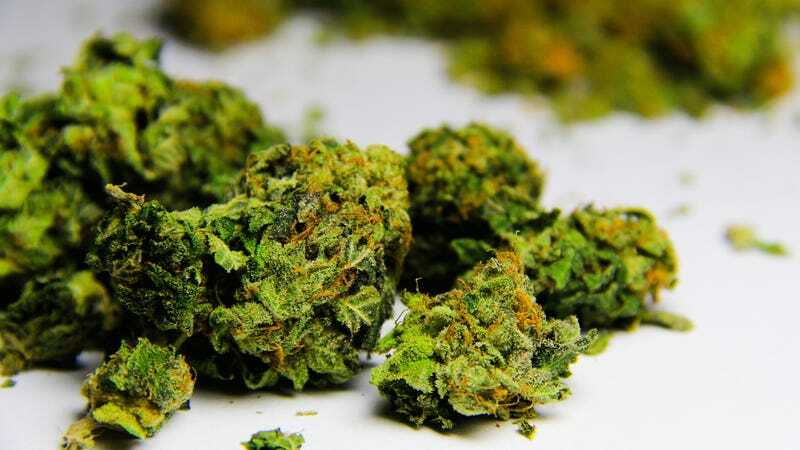 Among the connections they hypothesize, "marijuana may increase positive affect, which in turn could reduce the likelihood of conflict and aggression." Translation: stoned people are happy, and happy people don't fight. Another possible mechanism: "chronic [marijuana] users exhibit blunted emotional reaction to threat stimuli, which may also decrease the likelihood of aggressive behavior." That's something to keep in mind the next time racists try to argue that marijuana turned a black person into a violent aggressor. Researchers cautioned that more studies need to be done regarding the paramters of an individual's marajiana use—like dependence and abuse—to determine how that might affect the relationship between spouses. With the country generally loosening up towards the drug, more and more research is being done surrounding weed and the effects it has on us, so that's something to look forward to. For all the married couples out there, now might be a good time to start petitioning for marriage counselors to have the ability to prescribe marijuana—for the health of your marriage.